TK Universe, a conference series under direction of SM2D, provides a space where new technologies can be linked with major global markets in need of a modern approach. TK Universe events will provide a platform for inventive developers to showcase their work and network with business executives and companies in similar fields. With a special focus on the environment, TK Universe’16: Eco France gathers some of the most forward-thinking entrepreneurs, economists, policymakers, and technologists to debate and share perspectives on clean water and clean energy, especially for micro-communities of 30-300 people, where access to such technology is being re-imagined through innovation and real-world solutions. Created in 2006, SM2D is an American company based in Austin, Texas. 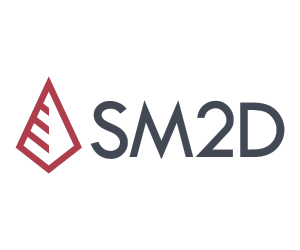 SM2D focuses on aggregating, augmenting, and amplifying innovation,with the main goal of developing and incorporating its clients’ products and technologies into major worldwide markets, such as healthcare, finance, retail, event management, and self-sufficiency. The US market is very attractive for French innovations, in particular for clean-tech and digital industries. French economic diplomacy (promoting French companies in the US and attracting US investments in France) ranks high among priorities of the General Consulate for France in Houston, which covers a wide territory including Texas, Arkansas and Oklahoma and supports the General Consulate for France in New-Orleans for Louisiana. If you’d like a copy of the PowerPoint presentation shown throughout the event, you can download a pdf version by clicking the link below. TK-Self Sufficient aims at supporting the development of self-sufficient homes and villages with a view to preserving natural resources, generating less waste and providing healthier living spaces for inhabitants, as compared to conventional buildings. The idea of the 1000 Villages Foundation is to meet simple human needs. Its focus points are alternative energy, water, connectivity, healthcare, and education. The goal is to bring alternative energy, clean water, innovative technology, and connectivity to underdeveloped communities in need of self-sufficiency and sustainability. Copyright © 2019 TK Universe. All rights reserved. Philippe Léonard is an innovator and consultant engaged in various ethical projects focusing on innovation, environment and energy challenges. Looking into two major issues nowadays, the environment and energy, Philippe imagined, researched, patented and developed AeroCube, a smart micro-scale and highly innovative roof-top wind turbine specifically designed for domestic and residential use in urban and sub-urban environment. Out of this idea, he started several companies on both sides of the Atlantic, including UrbanWindDesign, an Austin-based start’up dedicated to licensing patented renewable energy solutions on international markets. Sujiro Seam is the Consul General of France in Houston. He joined the French Ministry of Foreign Affairs in 1998. He started his diplomatic career as a member of the legal directorate, representing the French government before the European court of justice and providing legal advice on European and international economic law. At the same time, he was appointed legal advisor of the French delegation to the Channel Tunnel Intergovernmental Commission. In 2001, he worked as a national expert in the World Trade Organization Dispute Settlement Unit of the Directorate General for Trade in the European Commission. In 2004, he joined the Permanent Representation of France to the European Union as a counselor in charge of fisheries, regional policy, outermost regions, overseas countries and territories and maritime affairs. 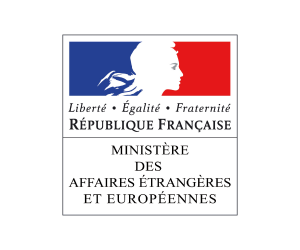 In this capacity, he chaired the working parties on these matters under the French Presidency of the Council of the European Union in 2008. In 2009, he returned to the Ministry of Foreign Affairs in Paris, where he served as deputy assistant secretary for food security and economic development and chaired meetings on food security under the French Presidency of the G8 and G20 in 2011. He was promoted to principal deputy assistant secretary for Global Public Goods in 2011 and then for Development and Global Public Goods in 2013. In these roles, he was in charge of the preparation of the Ministerial Conference of the 6th World Water Forum in Marseille in 2012, and led the French delegation in the Development Working Group of the G20. He holds a diploma from the Paris Graduate School of Management, and also studied in the Paris Institute of Political Studies and in the National School of Administration. He served as a second lieutenant in the administrative corps of the army during his military service, ranking first in his class in 1995. Dr. Yannick Herve est expert scientifique, spécialiste reconnu en méthodes de conception des systèmes complexes et multidisciplinaires, il est Enseignant-Chercheur et également Conseiller scientifique et technologique. Au niveau académique, Yannick a reçu une formation de base en mécanique/micromécanique ; il est Ancien élève de l’Ecole Normale Supérieure de Cachan (82-86) et a été reçu à l’Agrégation de Génie Electrique ; il possède un Doctorat en informatique et électronique et il exerce en tant que Maître de Conférences à l’Université de Strasbourg ; Habilité à diriger les Recherches en Technologie de la conception, il est également Chercheur au CNRS (Laboratoire iCube-UdS/CNRS UMR 7357, 63ème section). Ses domaines d’expertise industrielle et de recherches appliquées couvrent de nombreux domaines et technologies ; Parmi celles-ci , on pourra retenir notamment l’éolien, les Smart-Grid, le moteur à combustion, la chaîne de traction électrique et hybride, les moyens alternatifs (Stirling solaire, stockage latent…), ou encore l’optimisation thermique dynamique de bâtiments. Ses travaux théoriques récents portent sur la thermodynamique irréversible comme moyen pour l’ingénieur. Yannick intervient depuis de nombreuses années en tant que Conseiller scientifique et en technologie auprès de nombreuses entreprises, start’up et groupes industriels reconnus, dans de nombreux secteurs d’activités. 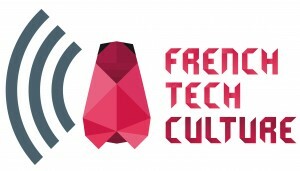 Yannick est par ailleurs l’auteur de plusieurs ouvrages techniques de référence dans les milieux technologiques (6 livres publiés), plus de 100 communications et publications scientifiques, 5 brevets déposés et participation à de nombreux autres. Actuellement, Maurice Bonaz est co-gérant d’un cabinet d’expertise comptable et de commissariat aux comptes en France d’une part, et actionnaire majoritaire d’une société fiduciaire en suisse d’autre part. Son activité est centré sur l’évolution des groupes (fusion, acquisition). Il a alterné l’activité directement opérationnelle et le conseil. Il a notamment réalisé la conception des systèmes de comptabilité, gestion et finances des Jeux olympiques d’Hiver d’Albertville 1992. Par ailleurs, il a développé une activité dans le secteur associatif et les fondations, en ayant par exemple exercé les fonctions de Gouverneur dans le cadre du Rotary International. Serbel’s business philosophy is to systematically examining existing technologies to determine their strengths and weaknesses, then enhance those strengths into Serbel’s technologies without adopting the weaknesses. Most existing water treatment technologies process water at the point of use and are based on costly “consumables” business models. Serbel technologies focus on water treatment at the point of entry (or, in certain instances, point of exit), require little to no energy to operate (considerably reducing costs), and require minimal maintenance, creating a global solution to systematically supply optimised water quality. Serbel products have no direct competitors and comply with the growing worldwide demand for organic and sustainable development coupled with an economy of water and energy. François-Xavier Albouy is President of PlaNet Guarantee a microfinance operator in inclusive social protection and crop index insurance. PlaNet Guarantee is active in Western Africa, Latin America and south-east Asia. Throughout his professional career François-Xavier built a strong experience both in insurance and economic development. He also held Direction of Development in several insurance companies. François-Xavier founded the “Risques” Revue, as well as a Master Degree of Insurance at the University of Paris-Dauphine and holds a PhD in economics. Florencio Lopez de Silanes’ is Professor of Finance and Law, and Director of the Family Business Research Center at EDHEC Business School in France. He has also been a professor at Harvard University, Yale Univesity, the Universtity of Amsterdam, and the Ecole Normale Superieur in Paris. According to Essential Science Indicators, he is the most frequently cited researcher in economics and business in Europe and one of the top three in the world in the last ten years. His lifetime academic citations also place him among five most widely cited economists in the world according to the Social Science Research Network (SSRN) and Thomson Scientific’s Essential Science indicators. His research interests and main publications are in corporate governance, law and finance, comparative institutions, regulation, and legal reform. He has received Harvard’s Wells Prize for the Best Dissertation in Economics (1995), the Brattle Prize for distinguished paper in the Journal of Finance of the American Finance Association (1999), the Jensen Prize for the best paper published in the Journal of Financial Economics in the areas of corporate finance and organizations (2000), and the All Star Paper prize from the Journal of Financial Economics for achieving a high number of citations (2007). His academic work has also been recognized by the World Economic Forum, which named him one of the “100 Global Leaders of Tomorrow” in 2003, and his recent membership of Academia Europaea in 2010. In 2009, he received the highest distinction by the government of France when he was made “Chevalier de la Légion d’Honneur” by the President of France for his academic contribution. His academic and applied work has dealt broadly with the analysis of what governance structures are appropriate for what economies and firms, what makes for good laws and regulations, and the socio-economic institutions that are key elements of a smoothly functioning market economy. Professor Lopez de Silanes’ research has influenced discussions and reforms in a number of firms and countries, in the European Union and the North American Free Trade Area, as well as in international financial institutions. He has been directly involved in reform in the areas of financial sector restructuring, foreign investment, securities law, corporate law and bankruptcy law reform in several nations including: Argentina, Brazil, China, Colombia, Costa Rica, Egypt, Malaysia, Mexico, Peru, the Philippines, Russia, Spain, the United States, Uruguay, Venezuela, and Yemen. His work has also been influential in such organizations as the United Nations, the International Monetary Fund, the World Bank, the Inter-American Development Bank, and the World Economic Forum. He has likewise worked closely with several business organizations such as the Asian Business Council, the Lex-Mundi Law Firm Association, the Asia-Pacific Economic Cooperation, and the Latin American Corporate Governance Network. Finally, he has also worked as expert witness in corporate governance, and advised corporations trying to improve their governance mechanisms as well as investors trying to protect their shareholder rights and push firms to improve investor protection standards. Michel Salomon has over 40 years of experience in the electronic transactions industry. He brings to the team his vast expertise in business development through investment and valuation leverage, sales management based on targeted market approach experience and licensing deployment combining IP protection know-how as well as financial and marketing strategy. He has created a number of companies among which TK Systems which finds its origin in 1983 in the fields of building hospitals, medical data digitalization, smart-cards and data security. During his career, he has created a portfolio of about 1,500 softwares in access / authorization/authentification/security, data base architecture, intelligence (450 algorithms +), data exchange platform (One-to-One platform), and more. In 2006, Michel launched SM2D Inc. in order to address an increasing demand of entrepreneurs, corporations and investors to benefit from his know-how to license innovating technologies in 4 fields: medical, water treatment, new energies and security in electronic transactions. Liz Wiley’s legal background began with Texas state court and appellate litigation and is now focused on federal court patent infringement litigation as well as patent acquisition and IP protection and corporate organization for foreign companies. Fluent in French, Liz has been facilitating business relationships between France’s and Austin’s innovation ecosystem. She is a founding director of the French American Business Council of Austin, Inc., of which she is currently the Chair of the Board of Directors. With her expertise in connecting networks in France and Austin, as a consultant she also organizes meetings and agendas for visiting French delegations in Austin. Liz was named in November 2015 the Honorary Consul of France in Austin. She is a founding director of the French American Business Council of Austin, Inc., of which she is currently the Chair of the Board of Directors. With her expertise in connecting networks in France and Austin, as a consultant she also organizes meetings and agendas for visiting French delegations in Austin. Liz was named in November 2015 the Honorary Consul of France in Austin.